Excel Fabric Care also specializes in cleaning for our commercial clients. 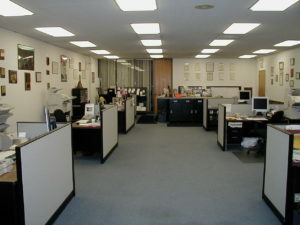 Not only can we clean the carpet and tile in your home, but we can clean your office or business as well. We offer annual carpet cleaning services or we can put together a maintenance plan for your office to keep the carpet and tile looking great year round. Regular professional cleaning will keep a cleaner work environment, and protect the investment of your carpet or tile. We also work with property management & real estate groups. Saving Money – Excel Fabric Care offers discounts for higher frequent cleanings. In short you will pay less per cleaning having your carpet cleaned more often than you would if you only cleaned annually. Office Upholstery – Yes we clean office upholstery as well. Whether you have office chairs or waiting room sofas we can take care of any upholstery cleaning need. Yes we clean leather too! Did you know we can clean fabric panels/cubical fabric as well? Fabric panels get dusty, dirty and even sometimes spots and dribbles. We can clean them while they’re separated, or put together. Either way, our fast drying process will make sure they’re ready to use quickly. 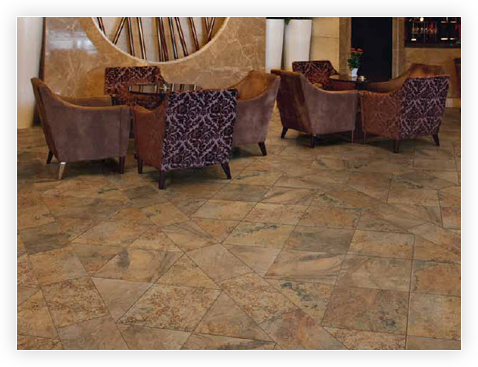 Tile and grout is becoming more popular in the commercial setting. The wide array of colors and textures make it an excellent option to give the high-end image many businesses are looking to achieve. We use a self-contained cleaning tool that will pressure wash the tile and grout without the mess. We can also seal the tile and grout after we’re done restoring it to its original luster. Sealing your tile floor will help it stay cleaner longer, and help with future cleanings as well. Call us today to schedule a tile cleaning for your office or business. Our tile cleaning service is perfect for tiled bathrooms! Our cleaning machine produces 200°+ temperatures which can aide in keeping a sanitary bathroom for employees, clients and visitors to use. If you’ve recently renovated your business and installed brand new tile, we can apply our penetrating sealant to the tile and grout. This is a service many installers do not perform, leaving your floor vulnerable to soils and spills. Call us today to schedule your tile and grout cleaning & sealing! We enjoy working with realtors and realty companies. We are a family owned and operated carpet cleaning company you can trust. We take extra steps to make sure we treat your client’s home with respect and care. We have a few different options for realtors and we’d be happy to discuss developing a long-term business relationship with you. Give our office a call at 330-678-5408.